Oh yes, how can I forget our rendezvous in Paris after being apart for almost two months! Sometimes we are quite happy doodling around on the British Isles – visiting new cities, the beautiful countryside, discovering little gems. And Mum thinks – ah, its so easy getting around and forgets the yearning to go abroad. But when this book came through the post, it reinvigorated Mum – mainly because at the very first chapter of the book was about Portugal and Spain. Mum was making plans for us to go there when we came across road blocks. We couldn’t find anyone who can confirm that we can indeed travel by train across those two countries. 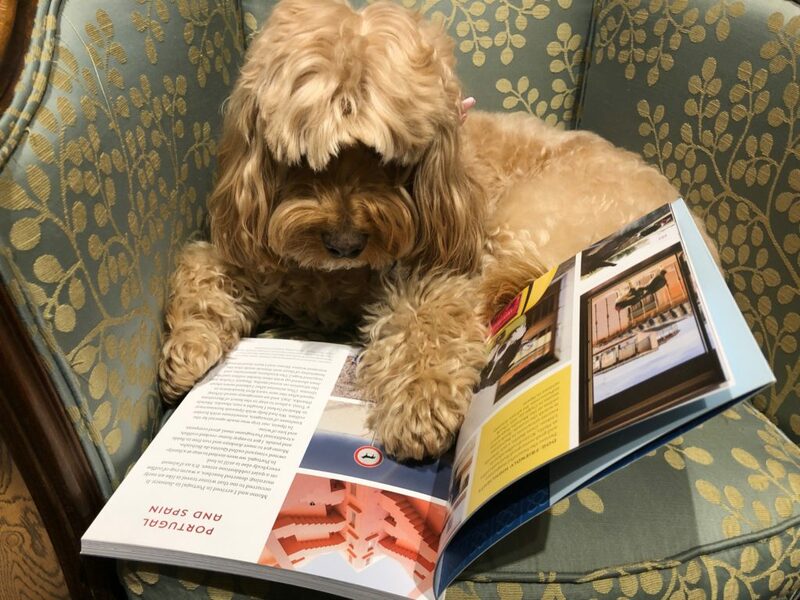 She had managed to find a lovely hotel in Porto that is dog-friendly but all the places she called in Barcelona, Madrid and Lisbon were less welcoming. Discouraged, she put that in the back-burner – until she found this book. 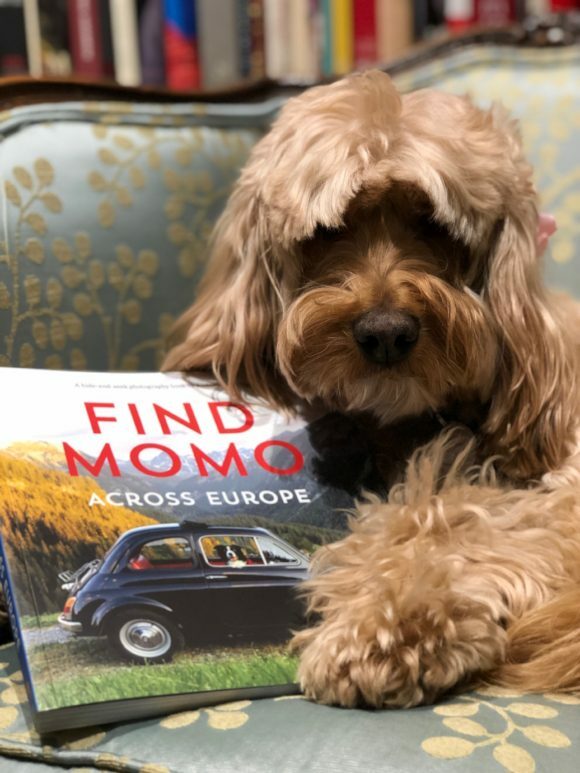 The difference being Momo and his owner travelled around in a camper van. That seems a bit far-fetched for Mum. We’re still at the stage of trains, ferries and sometimes planes. We prefer the safety of nice accommodations and good restaurants. May’s comment: With so much hanging on Valentine’s Day tomorrow, I forgot what else to write about until this book arrived in the post today. 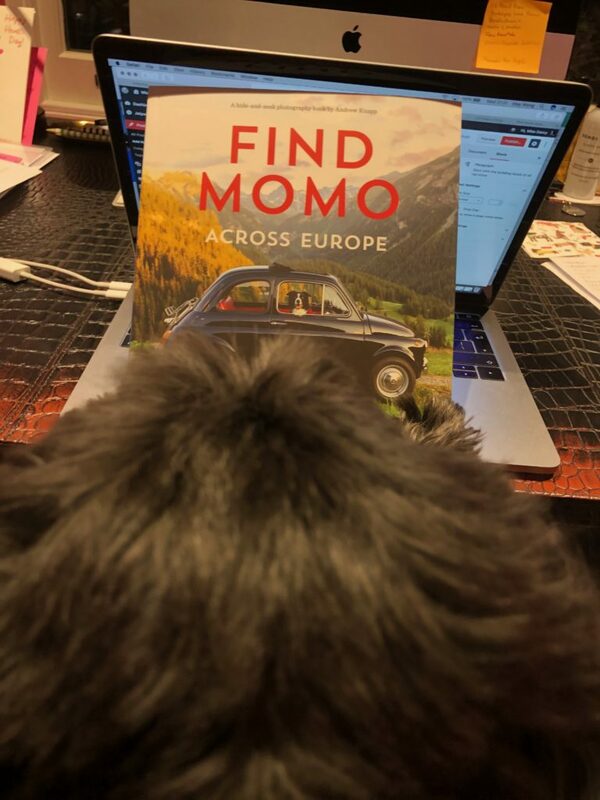 Find Momo Across Europe is a photography book by Andrew Knapp – that documents his travel across Europe with his border collie, Momo. They came over from Canada and began a road journey to 22 European Countries. Beautiful photo essays of picturesque Europe. Sometimes I really wish I dare drive across the continent in a car – just me and my dogs – no need to wait for trains, planes, ferries – we go whenever we want. One day maybe when I am brave enough to go about it. As Andrew says in his opening – it involves a will and means. Not sure I have the will to do so now. And besides my iPhone photos isn’t exactly going to do our travels any justice. When will I ever learn to use a proper camera? I’ve taken George to Mallorca – because he’s small enough to fly in-cabin. But taking Darcy to Spain and Portugal takes a bit more research. With the rules of flying in-cabin changing in Europe, we are bound to ferries and trains. But we have met two pooches in Instagram – one in Portugal and one in Spain who have started checking out dog-friendly places to eat! Well, some day then. Till then there are many other places we must get to … a busy few months ahead! ← Like your name, you’re now only a spirit.